I absolutely despise dyeing my hair. I will be 43 in six months, which will mean that at some point during that year there will have been 30 years of chemicals poured onto my poor head. That can’t be good, can it? But it’s not just about the chemicals at this point; the truth is that I’m exhausted. Keeping my hair gray free requires about four hours out of my month. That’s a conservative estimate based on the fact that my efforts are half-assed. I rarely have the patience to do a good job on full coverage, and I definitely don’t have the money to pay someone else to have the patience to do it. I have been a slave to my beauty for longer than I care to remember, and even with all of the time and money I’ve dedicated to it sacrificed for it, I’ve never felt that it or I was quite enough. I’ve had red hair, blond hair, and now I have black hair, which my mother hates because, ironically enough, it makes me look old. But others love the black and hate the blond, and so on and so on. The only person I wasn’t actually listening to was the person who mattered most. Me! What would make me happy? The answer to that was simple: not having gray hair would make me happy. But that isn’t the reality I have to contend with. I have gray hair that has been turning white or silver as I will now call it. As a second choice, what would make me happy is to NEVER have to color my hair again. For a long time, the thought of never having to color again would make me sigh and smile but inevitably the worries would resurface. What would people think? Is it giving up? And most importantly, HOW WILL I EVER FIND A HUSBAND???? In the fall of 2010, I decided that I was D.O.N.E. done. I was going to grow my gray out. This decision was helped by the fact that I was unemployed and barely had money for a bag of chips, let alone a box of hair dye. I contacted a friend in New York City whom I only knew through Facebook, but whose gray hair I thought was beautiful. She was younger than me, so I knew she could provide some perspective on age and gray. She gave me some sage advice and encouraged me on the new journey. Unfortunately, just a few weeks in, my sister caught a glimpse of my hair and offered to pay to have it done. Still not at a comfort level with the new growth, I didn’t resist, and back to black I went. Now, a little over 2 years later, I was back in the same place, HATING the time, effort, and money that my hair requires. I decided AGAIN that I would start to go towards my natural color. I would touch up my roots at the top of my hair, but I would let the hair underneath go white. It wouldn’t be quite as scary if the hair that was growing white wasn’t easily visible to me. To my surprise, I was getting a lot of compliments on the beauty of my white hair. It was a novelty to some, and though I hate to admit that I’m that affected by the opinion of others, hearing those compliments helped me decide on the next step. I would grow two streaks of white at my temples, which were always the first sections to grow out. Unfortunately, I got the bright idea to help it out by bleaching the sections at home, and let’s just say it didn’t work. Then came last week and my desire to live a more natural life, one which led to a whole lot of introspection about the role that beauty has played in my life. 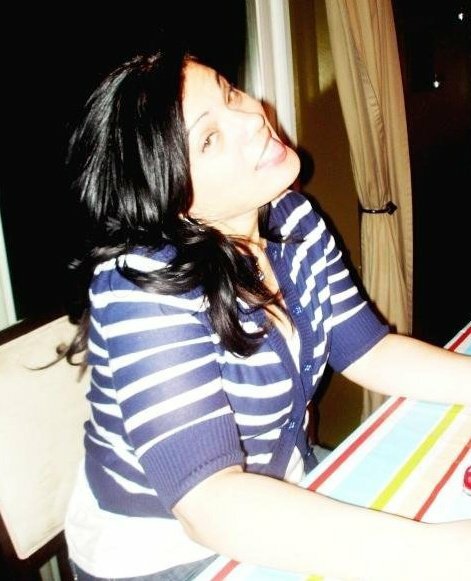 My perception of my own beauty has been colored by everyone’s opinion but mine ever since at 14–with a combination of acne, gray hair, gap-toothed smile, curvy body, and shy demeanor—I became the poster child for awkward teenager. The time when I began to only see myself in the context of how I thought others would perceive me. I won’t continue on about that, because I think I’ve covered my beauty insecurities ad nauseum on this blog, but basically, I’m exhausted literally and figuratively and I’m done. This time, I mean it. That’s me above with my beautiful (can I call my own hair beautiful? sure I can!) black hair, but probably making a face because I was exhausted from the time it took to get that color. The second photo is obviously not me, but is a good representation of the silver I’ll be growing (borrowed from more.com). Pretty, no? This isn’t to say that I don’t to make an effort at all. Going natural isn’t giving up. It just mean less processed. I’ll still wear makeup, style my hair, shave my legs, and all that good stuff. In fact, part of going natural is in hopes that nature will do the job chemicals have not managed to accomplish. Part of is is also to make me feel better about more than what’s on the outside, to feel good about what’s on the inside by investing more money and time to really take care of my health, and to do meaningful things in this world. As for the husband question, well, I lost the desire to be married years ago. I’m simply looking for a partner in life and I guess, if he ever comes along, he’ll just have to love my gray as a part of me. Thanks to the Revolution Gray blog for the final inspiration I needed! Update: Check out the growth here. 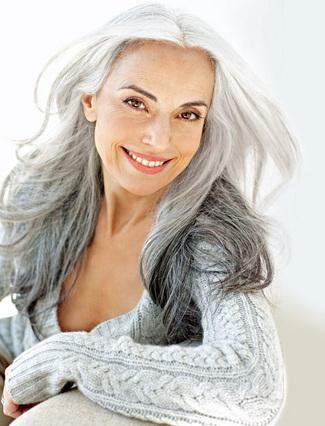 Where are the pics of your gorgeous white hair? . I bet it is stunning on you. A gray-be! You are welcome, LIbby Julia! Keep rocking the gray! Thanks for your honesty and openness. It is so helpful to others in similar situations. I went gray prematurely and am growing it out. I’m 37. I tried to go silver a couple of years ago and failed. I too have struggles with the insecurities about my appearance since I was a preteen or even younger. This is one step in learning to accept “Me” for myself and my young kids. Thank you.